Are you tired of lugging your groceries up to a third floor kitchen? How about having to go down 2-3 flights in order to get to the grill and then hauling the beautifully cooked dinner up those same flights. Well this wide Open TI corner location offers first floor kitchen and access to the yard for grilling those perfect steaks or burgers. This updated 4 bedroom, 2 bath townhouse offers plenty of parking and a private yard. 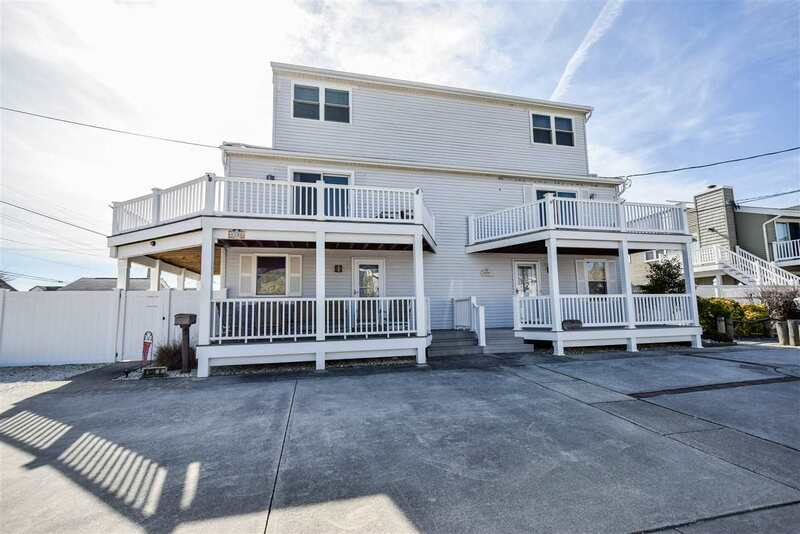 This property has ocean views from the wrap around deck. The owner has put in a designer kitchen with high end appliances, lighting, wine/beer cooler, built in ice maker, two sinks, and custom tile flooring. This design has first floor living, second floor with two bedrooms, a full bath and separate washer and dryer closets. The top floor has two more bedrooms and another full bath. Now, here is another benefit, a totally fenced yard with ample lounging space, storage and outdoor shower. Each room has its own Fujitsu ductless heat and air-conditioning unit with remote control.